Language Script allows users to convert things they type into gibberish for characters who don't speak the language the player is speaking as. Language sheets are created automatically, allowing players to set their Speaking As dropdown to the desired language in order to speak it. What Did He Say? expands on version 1 of this script. There is significant difference between the usage of the two scripts, enough to list them separately. Select a language to speak as, and type a message into chat starting with !. Players with a character that speaks the selected language will receive the actual message, while other players will receive garbage. Description: A description of the language, to use in a sentence. For example, "Legolas is speaking Elvish." Sheet: The name of the character to associate with the language. The character will be created if it does not already exist. CRITICAL: Assign control of this character to all players able to speak it! languageSeed: A number to assist int gibberish generation. characters: A key to use for distinguishing languages from one another when generating gibberish. This will allow you to generate different gibberish for different languages. For each unique value of characters, you should create an array of numbers, symbols, lower-case consonants, upper-case consonants, and vowels. Finally, the value of languageAvatar will be used to set the avatar of the language characters. 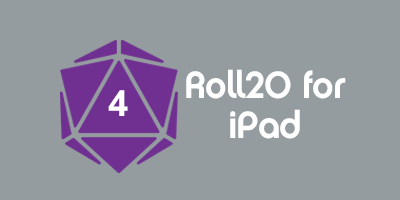 If you want to change the image, you may only use a URL from your Roll20 image library. This page was last modified on 13 January 2015, at 17:52. This page has been accessed 5,938 times.